It's currently -20 with a windchill of -50. But hey, at least the sun is out! It's supposed to be 45 degrees on Sunday. So hopefully, much of this snow will melt. Brrr. I came home from work not long ago and I really had to bundle up for my job. Yeah, same here. 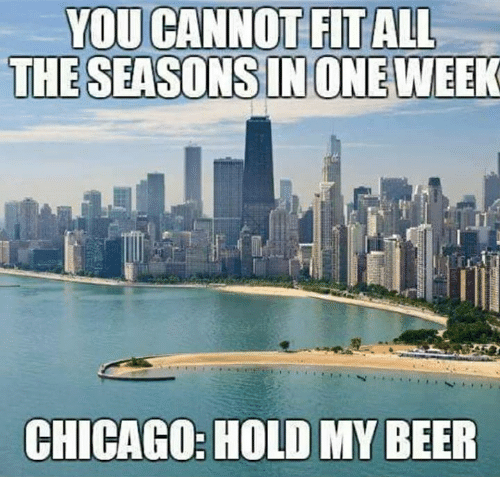 These weather extremes are insane! It's a 70 degree difference! It's snowing right now and it's apparently gonna be near 60 on monday. Same here. This weather is crazy. 60s is shorts weather! It's February, it's 60 degrees and I have my windows open. 5 days ago, the high was 15 and I had multiple layers of clothing on. What the hell, Maryland?